‘Tis the season to be jolly – and feast on delicious festive fare. 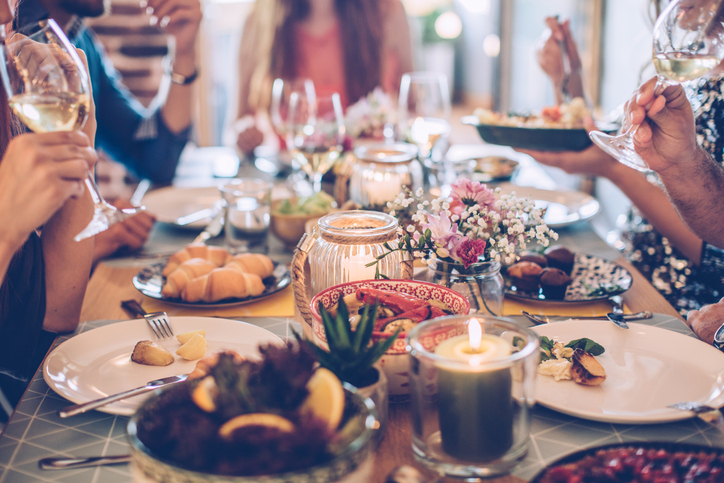 If you’re watching your weight, healthy starters are great alternatives to high calorie, traditional party snacks. Impress your guests with these simple but flavourful appetisers. 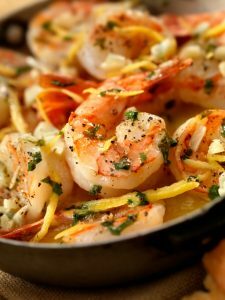 Fresh shrimp and goat cheese will add a luxurious touch to your potluck party contribution. Place garlic and oil in a small skillet and cook over medium heat for about one minute until fragrant. Add the lemon juice, parsley, salt and pepper, then toss in the shrimp. Chill for two hours to allow flavours to soak in before serving. Drizzle olive oil on bread and toast in the oven till crispy. 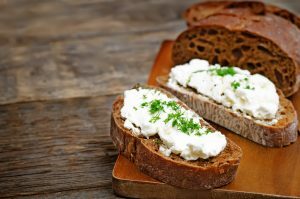 Slather mascarpone on to each slice of toast, and top with a slice of goat cheese. Sprinkle on basil leaves, lemon zest and drizzle honey to serve.